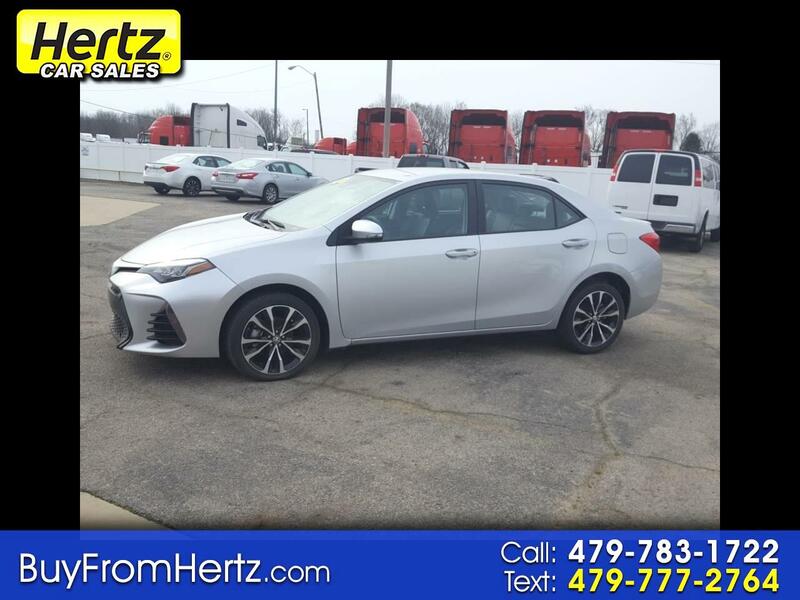 Silver 2017 Toyota Corolla SE FWD 6-Speed Manual 1.8L I4 DOHC Dual VVT-i Hertz Car Sales is an used car dealer serving Fort Smith and the River Valley for over 40 years. We pride ourselves on serving our customers by offering a variety of quality, late-model, low mileage vehicles at unbeatable prices, and friendly service from our no-pressure, no-hassle sales staff. We offer the best cars from Hertz rental fleets all over Arkansas, so you know you are getting the highest quality, well-maintained vehicles when you buy from us. Come see us for a test drive at 2810 Midland Blvd. Or call us at 479-783-1722. 27/35 City/Highway MPG Awards: * 2017 KBB.com 5-Year Cost to Own Awards * 2017 KBB.com 10 Best Sedans Under $25,000 * 2017 KBB.com Best Resale Value Awards * 2017 KBB.com 10 Most Awarded Brands Call (479) 783-1722 today to schedule your test drive!